The Masters have the fundamental purpose of instructing new customers who want to start making floors and walls in PanareaFloor and also to improve and refine the techniques of those who already make them. The Masters are held by our technical staff, making available our great specialist know-how in this field. The explanations are both theoretical and practical. In particular, Nikkolor Italia, focuses on the professional training of its customers who must know the products they use, as well as the knowledge of the media to be treated must be adequate for a successful outcome. During the Master of training you will learn the technique of laying, treatments, finishes and maintenance. At the end of the Masters the certificates of professional qualification that certify the participation in the lessons are issued. We will introduce you to the most complex and difficult application methods, which would be almost impossible to achieve without the participation in the training Master and the single-component and bi-component finishes. 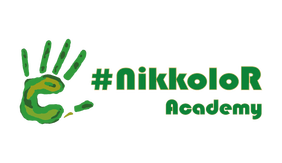 Nikkolor Academy has become the focal point of practical and theoretical training activities for professionals in the sector.